A rarely spoken truth about mass tort lawsuits consolidated into multi-district litigation (MDL) is that many of the plaintiffs’ lawyers filing these suits actually do very little on their cases. The strategy is simple – a select group of plaintiffs’ attorneys are chosen to run the litigation. 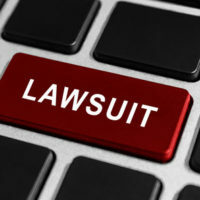 The remainder – which could be hundreds of lawyers – simply file a lawsuit and wait hoping to get a call or e-mail saying a settlement agreement has been reached. The lawyers then enjoy a cut of settlement funds all from simply signing up a client and filing a lawsuit. But there’s an inherent risk for lawyers who “lay low” waiting for a settlement check – neglect. In Dzik v. Bayer Corp., 2017 U.S. App. LEXIS 684 (7th Cir. Jan. 13, 2017), plaintiff’s counsel took the risk and paid the price. The plaintiff filed a lawsuit alleging that they suffered a blood clot after taking Yasmin, a prescription birth control medication. Defense counsel for Bayer requested that the plaintiff produce medical records to substantiate the allegation. Plaintiff’s counsel effectively ignored the discovery request for well over a year. As with many MDLs, settlement negotiations proved productive and some cases in the Yasmin MDL began to settle. The court overseeing the MDL entered an order requiring plaintiffs to notify the defendant if they believed their case was likely to settle. If not, the plaintiff would need to participate in discovery to support their claim(s). If a plaintiff failed to comply with this order, Bayer’s counsel could file a motion to dismiss the non-responsive/compliant cases. In Dzik, the plaintiff’s counsel failed to take action and did not request to be included in the “likely” cases to settle. Bayer’s defense team moved to dismiss and plaintiff’s counsel, once again, failed to respond. The case was dismissed. Only then did the plaintiff’s attorney recognize what happened and appealed the dismissal. The court did not buy any of the counsel’s arguments, including a claim that he missed a notice because of a wedding anniversary, and affirmed the dismissal. Your defense lawyers should be prepared to target the weaker cases buttressing an MDL and work to get them dismissed. The intent of MDLs was never to incentivize lawyers to file highly questionable lawsuits in federal court. To be clear, the counsel in Dzik is not some rare exception. In fact, many lawyers for a large percentage of MDL claimants engage in similar behavior (they may just have better equipped staff or colleagues who keep up with court orders). With the exception of the lawyers on the leadership group, the “file and sit and wait” strategy in MDLs is fairly common. This is why your defense team should be ready to take on these types of dubious cases. The law firm of Colvin, Chaney, Saenz & Rodriguez, L.L.P., is comprised of Brownsville product liability defense attorneys who offer skillful representation to product manufacturers facing any type of liability claim including mass torts and MDLs. We understand what is at stake for your company’s reputation and bottom line in these cases. You can rely on our law firm to pursue every available option in an effort to secure a favorable outcome.